Aiming for a night in for New Year's Eve? Especially if you live in a big city and want to avoid obnoxious crowds, I imagine you might be. So here are a few drinking game suggestions that involve a console and a couch and some friends. Oh and your alcohol of choice. Fun night: secured. Now, of course, don't take all of these suggestions too seriously. The Kotaku crew had fun coming up with silly ideas for drinking games the last time we did this (which was for Cinco de Mayo). And, as always, please drink responsibly. Your suggestions for drinking games involving video games are welcome! Top image modified from Steven Zolneczko. It&apos;s Cinco de Mayo. 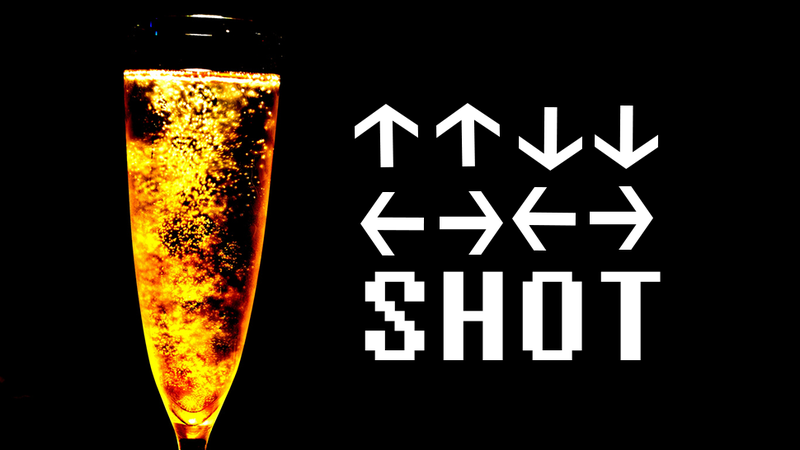 Here&apos;s How You Can Get Drunk While Playing Video Games.